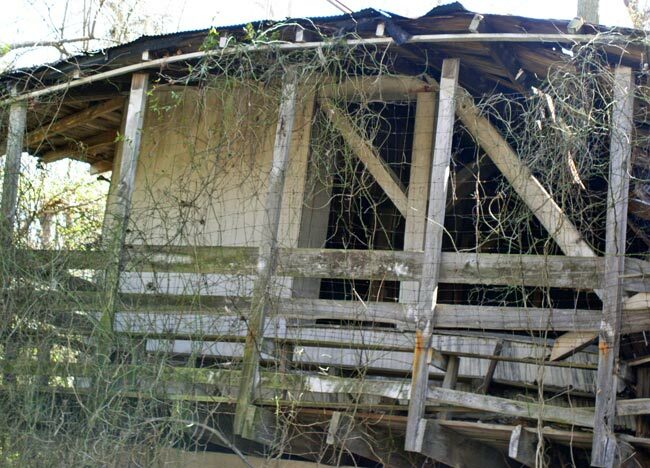 This dilapidated structure in Hartsville was once the center of a resort teeming with people celebrating the carefree days of summer. It was built in the early twentieth century and quickly became the go-to spot for locals looking to swim, play, and dance the night away. 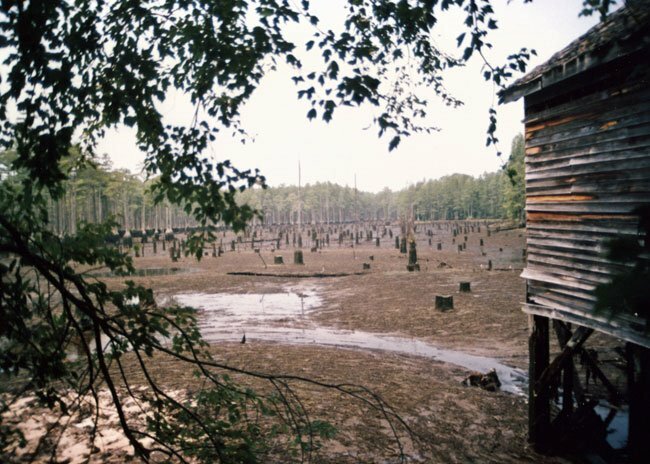 The land where it is located is thought to have been the site of a mill prior to the Civil War. Unfortunately, not much is known about the mill’s original incarnation. 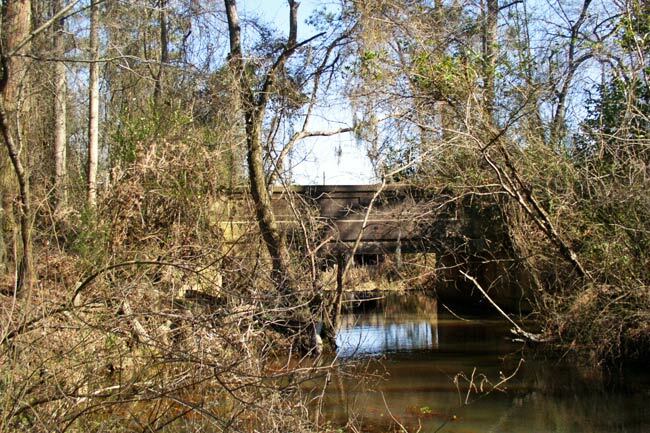 History holds that Jacob Kelley, who established the Kelleytown farming community of Hartsville in the early 1800s, evacuated to an island here in 1865. Major General John E. Smith of the Union army came through Kelleytown in the spring of that year and made Jacob Kelley’s house his headquarters, causing Kelley to flee. Interestingly, the legend also states that Kelley, who was 85 at the time, was allowed to carry his community’s valuables with him and chose the island because it enabled him to more effectively stand guard over this stash of silver and gold. Eventually Kelley’s descendant, Henry K. Segars, either expanded or restored the original mill. (It is unknown what condition the mill was in at the time it came into his possession.) At this juncture, under Segars’s ownership, the mill ground grist, and in time Segars added a cotton gin and even a hydroelectrical plant. The surrounding water became known as Segars Mill Pond. The Beaver Dam Creek supplied water for the mill pond, which was separated from another pool, below it, by a spillway and earthen dam. As early as 1913, Segars built a pavilion next to this pool to serve guests coming to swim, the remains of which are seen here. 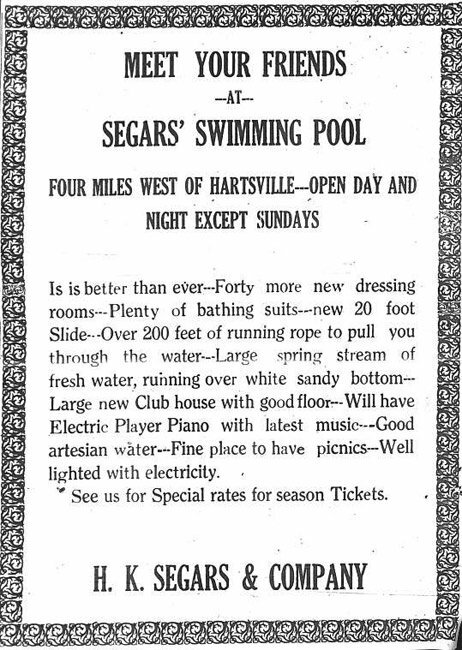 On June 29th, 1920, he received an official charter for the attraction, which he called Segars Bathing Resort. The resort was financed by Segars, his brother Ed, and J.C. Hungerpiller. 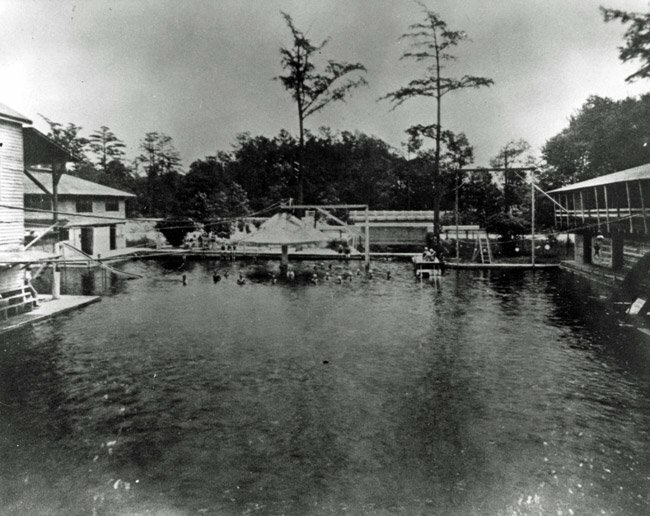 The pool’s floor was billed as “white” and “sandy,” and in the process of enlarging it, Segars uncovered several freshwater springs which added a steady influx of cold water. These springs gave the swimming hole a reputation for being cool and refreshing on oppressively hot summer days. 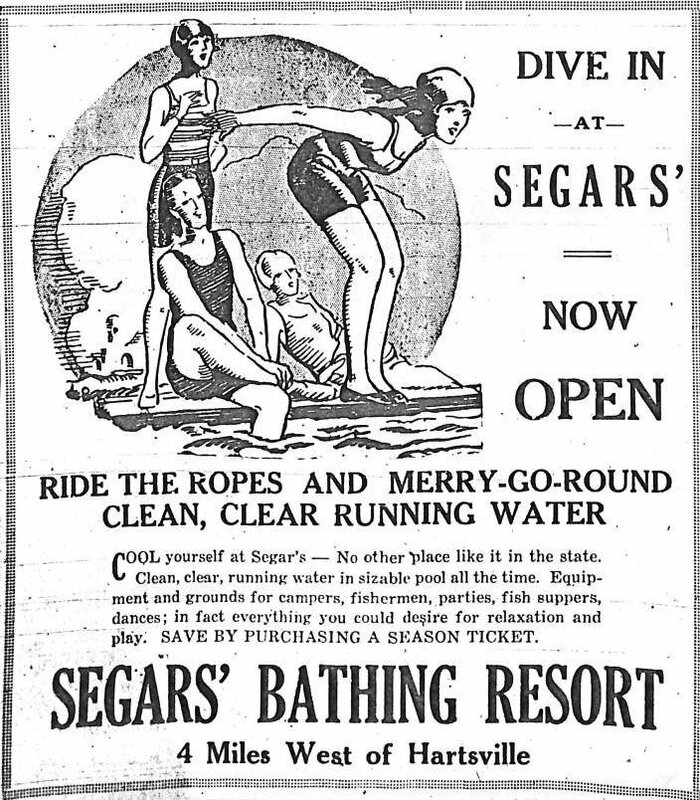 Following the initial success of the resort, Segars added more buildings to the property and sold concessions and merchandise such as swimsuits and picnic supplies. 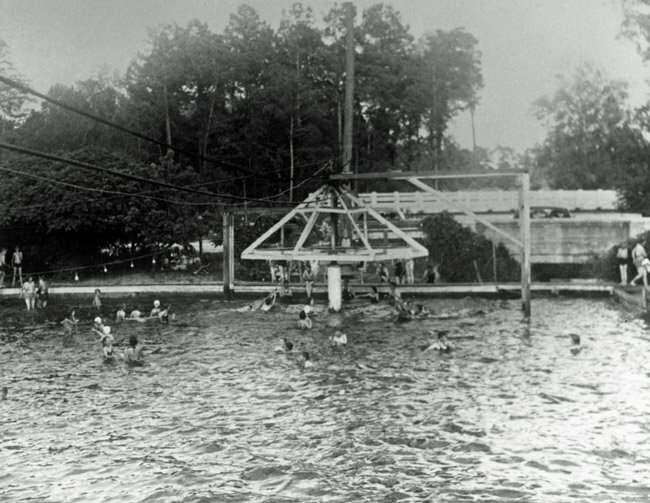 The swimming hole itself measured 40 feet wide and 90 feet long and boasted unusual features such as a water-powered merry-go-round and a rope ride across the pool. Advertisements encouraged guests to “Ride the Ropes” – the ride consisted of a rope hanging from a mechanized belt. People could grab hold of the rope and move (relatively) quickly from one end of the pool to the other. In fact, the resort operated for two more decades, finally closing sometime in the 1940s. During this period the polio epidemic was taking its toll, and a lack of knowledge caused many to cease swimming in public pools for fear of contagion. Subsequently, many such resorts closed during this time. 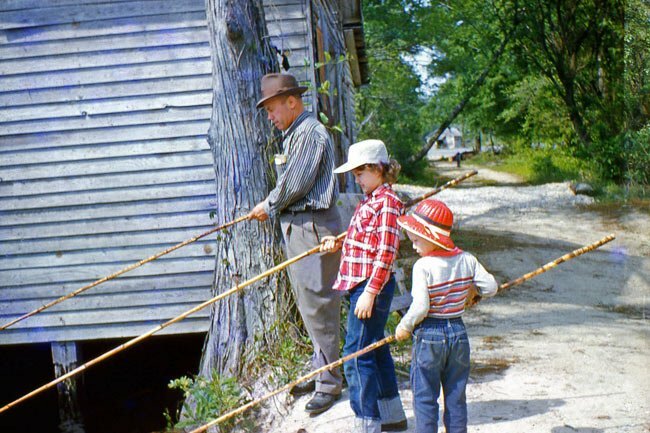 People still enjoyed Segars Mill for the other types of recreational it afforded, however, as seen in this 1959 photo of a family fishing from the dam. The dam that had contained the Beaver Dam Creek waters for so long finally gave way in 1986. During the dam break, several of the buildings were destroyed, making the once-vibrant resort even more desolate. Shortly after the breach, family members rebuilt the dam, restoring the pond. Below is a photo of the area taken shortly after the dam broke. Today, only the ruins from the pavilion remain at the site of Segars Bathing Resort. Still owned by the Segars family, the quiet pond on the side of the road belies the jovial past of a popular summer swimming hole. At 534 acres, the land has been placed under a protective easement awarded by the South Carolina Conservation Bank. Present on the property are the large pond as well as eight smaller ponds. The land was awarded a grant for conservation in part because it is the site of an intact Carolina Bay. Many thanks to Bill Segars for the photos on this page and much of the information as well as Brian Gandy of the Darlington County Historical Commission. 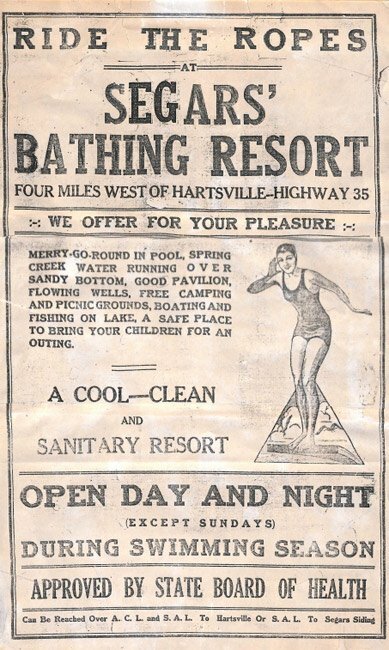 For more on the bathing resort, please read Brian Gandy’s article written for the Darlington County Historical Commission. The following photos are of the Segars Mill Bathing Resort from the zenith of its popularity in 1936. The images are provided by the Darlington County Historical Commission. The photo descriptions are from Bill Segars, also of the Darlington County Historical Commission. The above photo is a full view of the resort. The main point of focus is the Texaco Star painted on the side of the dance hall. Seen above is the merry-go-round. Note the black lines from the device running off the left side of the photo; these are the belts that ran from the mill to the device to turn it. Also note the concrete structure to the right of the merry-go-round; that is the concrete bridge that is seen in the present-day photo at the bottom of the page in the above section. The above photo shows one of the ‘toys’ at the resort, Running the Barrel. The barrel was hooked to a motor that turned it, and the people had to run to stay on the barrel. Note the swim wear. 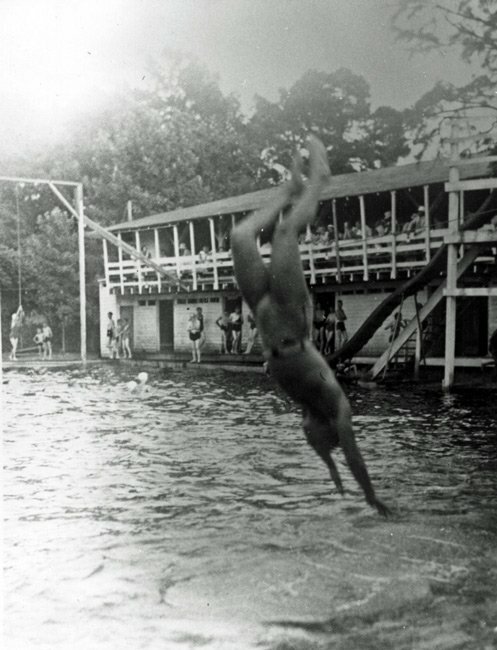 Above a man leaps from the high dive. This is the deep end of the pool, closest to the mill and the dam. 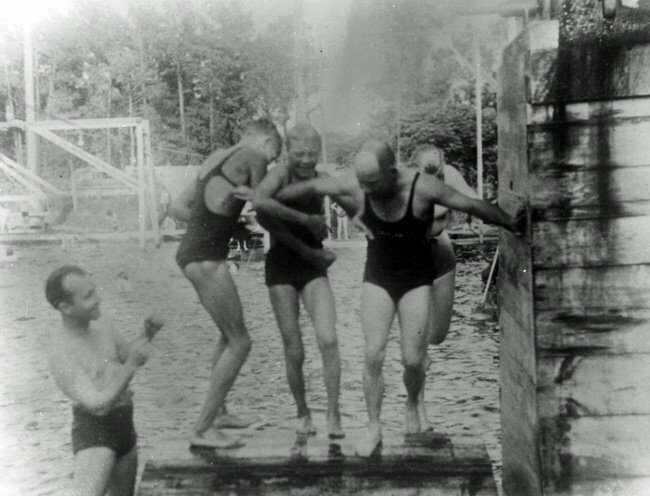 To the right of the diver is a tall sliding board, and to his left is a swing; one would swing out over the pool and then turn loose into the water. The large building in the background is the dance hall. This is another photo of the high dive. 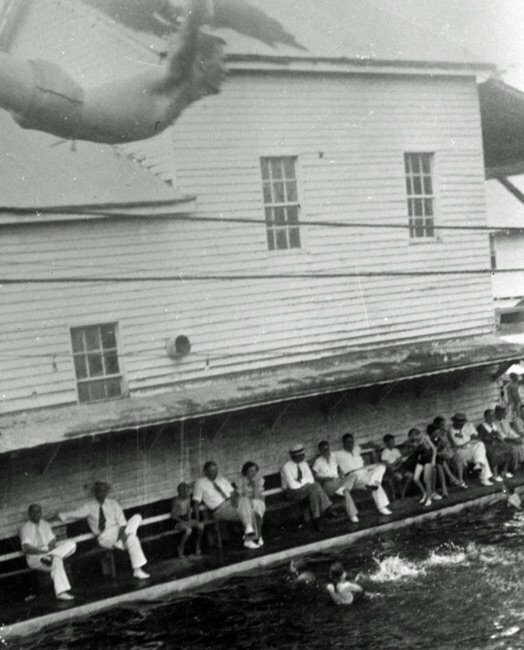 The large building where the people are sitting on the boardwalk is the former cotton gin. The two black lines are the belts going to the merry-go-round. Notice the men wearing ties. My grandfather, Albert Jordan, and Mr. Henry were lifelong friends. My mother spent many childhood days swimming and socializing at the Mill Pond. My Mother, Becky King Tarlton, had many memories she shared about Segars Mill. Wish I could have seen it. Thank you for the article on the history of Segar’s Mill. I enjoyed the pictures. I love especially love the one with Bill, Mamie, and Mr. Graham. I wish people could hear some of the wonderful stories my aunts and uncles have told of their fun times there. Seeing the pictures made me remember them and made me smile. Thank you! A great read. I can remember my mom's stories of swimming there as a child. Thanks for sharing. 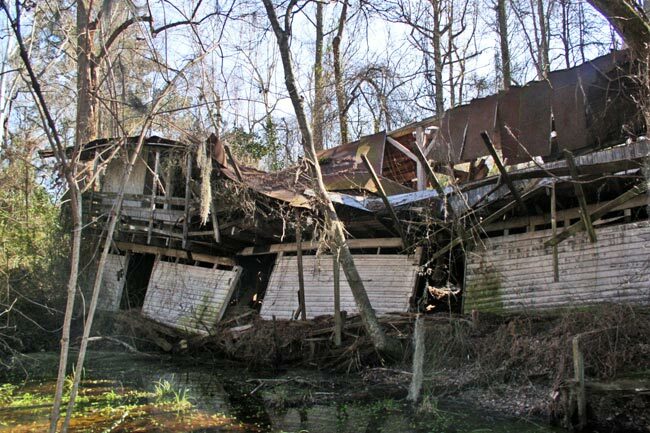 This is a great article and wonderful photographs of Segars Mill Resort. It is updated from a previous article with new facts and photos! Kudos to Bill Segars and Brian Gandy!